Today I took a short trip to La Cygne, KS to explore the area by bike. I’ve had this on my “to-do” list since last October when I rode a bit of the area (Rutlader / LaCygne Lake Loop). I had a great little route map all printed up and ready to go, but when I went off and left it setting on my desk at home. So I winged it. I though I had a half-way decent map in my head, and that turned out to be about right. I did fine for the first 20 miles or so, then got off track as I began to see road names that didn’t sound familiar. At one point I stopped at the Marais des Cygnes National Wildlife Refuge office to ask for directions, but they weren’t too helpful. The only routes they knew were on paved roads, and I was looking for back roads. Oh well, I bumbled through. I got onto US-69 Highway for a few miles until I hit gravel again. This is a 4-lane semi-limited-access highway, but it had wide shoulders. It wasn’t too bad. 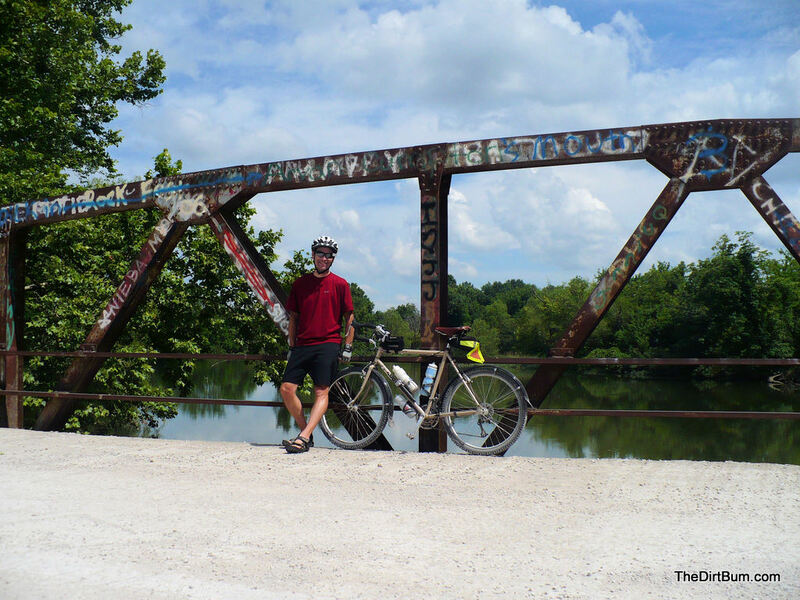 I ended up going too far west on the gravel roads, until I hit a north-south paved road, but I eventually found my way back to La Cygne. The total ride was about 53 miles. La Cygne City Park. 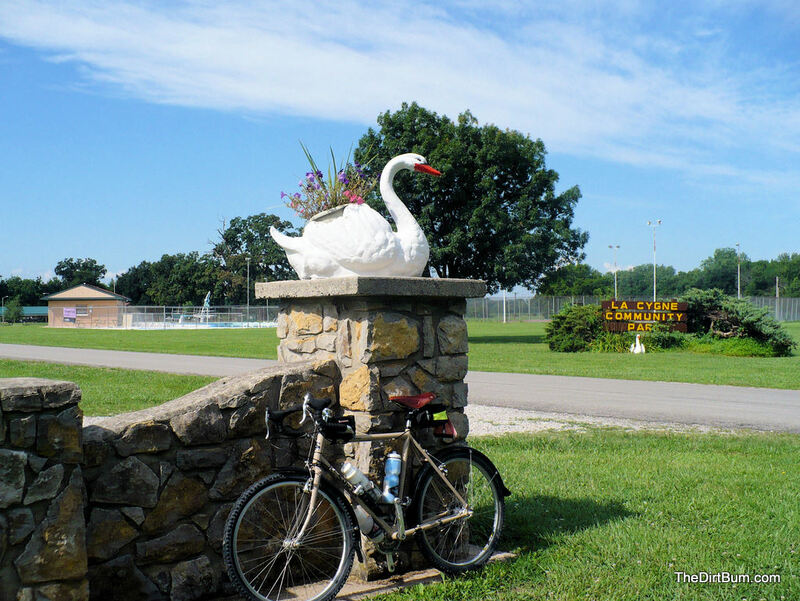 La Cygne is the "City of the Swans". 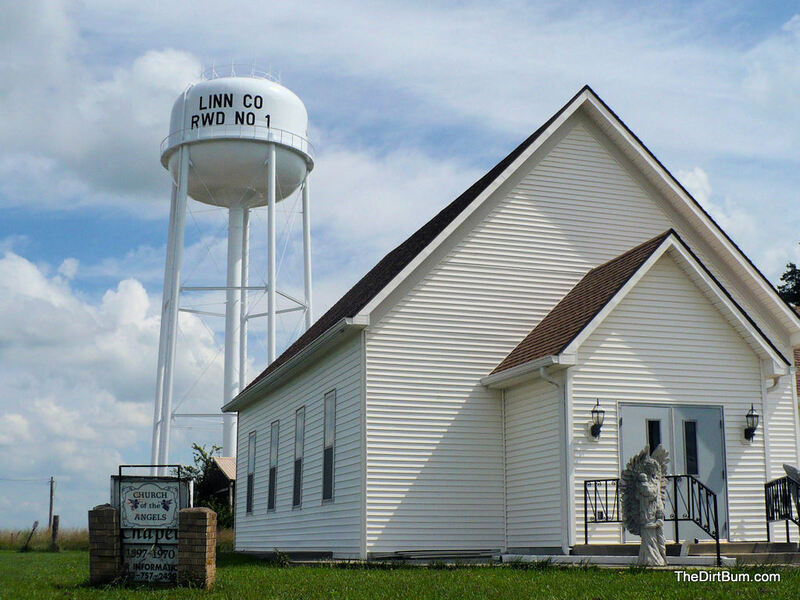 It’s located along the Marais des Cygnes River (French for "Marsh of the Swans"). The is the Church of the Angels in rural Linn County, KS. 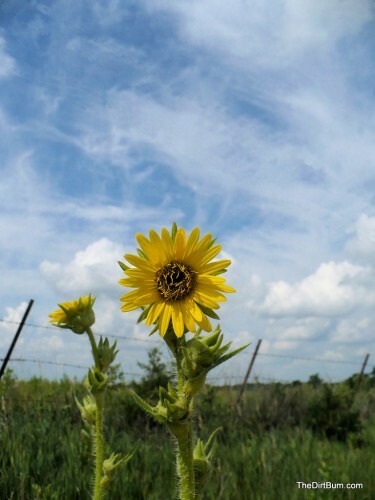 A roadside sunflower in Linn County, KS. This is the La Cygne Lake Bridge. Beautiful old bridge, but unfortunately it seems to be popular with graffiti vandals. I heart my Long Haul Trucker. A view of the La Cygne Powerplant from the La Cygne Lake dam. The plant appeared to be idle today. 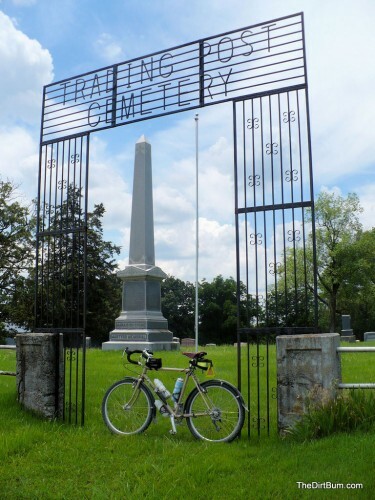 Trading Post Cemetery. The monument in the background is a memorial to the victims of the Marais Du Cygne Massacre of 1858, when 11 Free State men were killed by border ruffians. 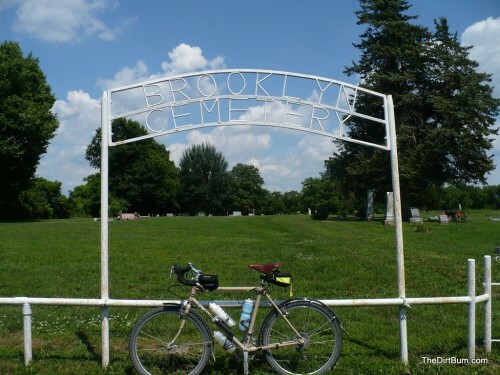 Brooklyn Cemetery west of La Cygne, KS. I’ll need to go back sometime, as I was unable to find several of the attractions I’d picked out on my map. Oh well, I don’t mind — this is a nice area to ride and explore! 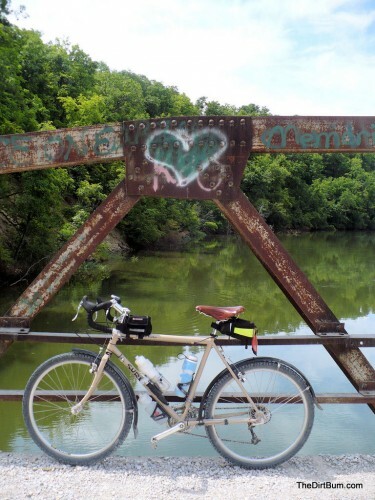 Beautiful ride and photos. 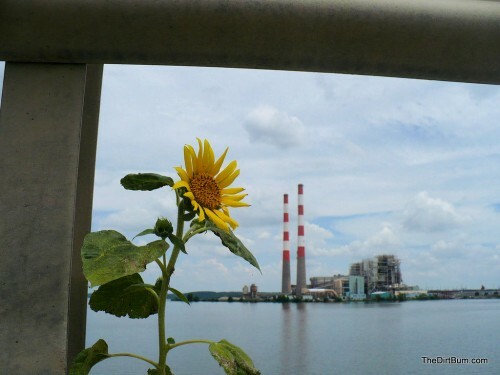 I especially like the sunflower shots, very nice! I was hesitant to get a GPS too, but I found a Garmin eTrex Venture HC for around $120. That’s not chump change, but it’s pretty reasonable. It’s a very basic unit, but the receiver is quite accurate. But, you need software/maps on top of that. It still doesn’t help if you leave it on your desk, though.